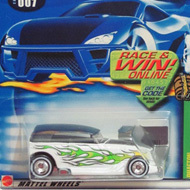 8/12 from the 2002 Treasure Hunt series. 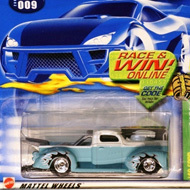 The Fat Fendered ’40 features flat black paint with “MILLER’S CAMS and FUEL CONTROL” and “2 A” on the sides, and red, orange, and white flames on the sides and roof. 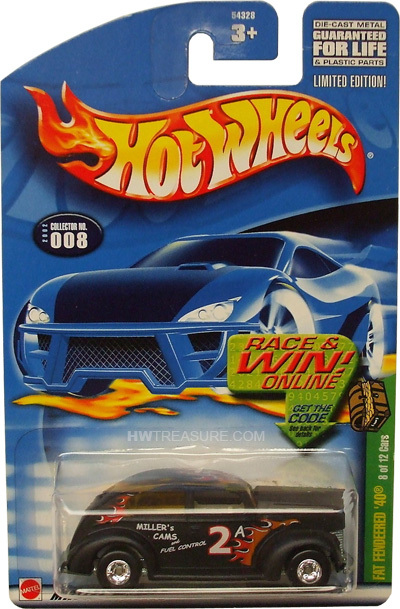 There’s a TH logo on the rear, yellow tinted windows, white interior, Deep Dish Real Rider wheels, and an unpainted Thailand base.